While most commercial buildings include a fire sprinkler and smoke alarm system to protect their occupants, building owners believe that those systems are enough. However, sprinkler systems and smoke alarms are mainly used to help in large scale fires. A sprinkler system might not be triggered right away if the fire is small or effects on person. Because smaller scale fires can occur within a commercial building at any time, it is important for employers to have fire protection products on hand at all times. Fire protection products can help protect against commercial fires on a smaller scale. When used in conjunction with sprinkler and smoke systems, your building and its occupants will be well protected against commercial fires. Safety Cabinets- If your company uses flammable materials or liquids, storage is essential when trying to prevent commercial fires. Storing these flammable materials and liquids within a safety cabinet will help prevent these materials from combusting. These safety cabinets are created to protect flammable materials from heat and other materials to prevent fires from occurring. 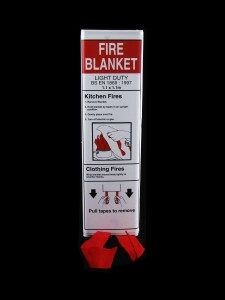 Fire Blanket- A fire blanket can be used to extinguish a small fire or clothing that has caught ablaze. 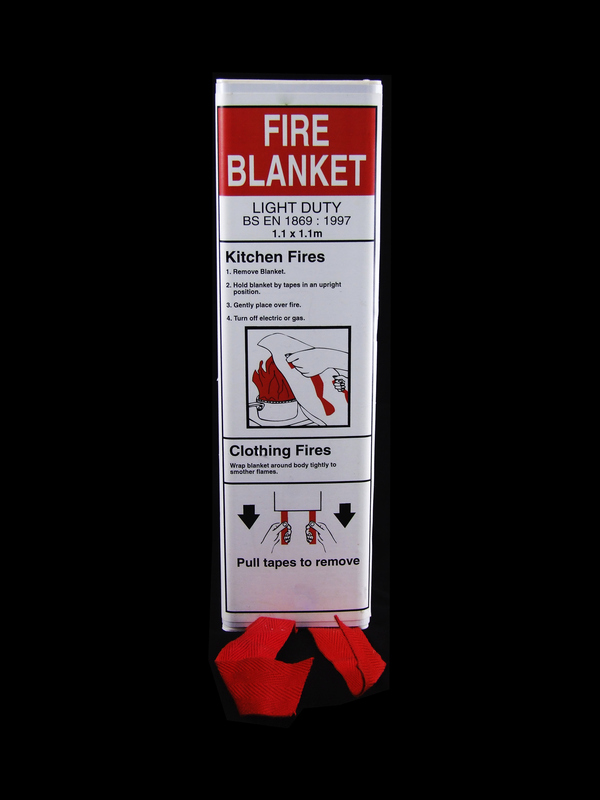 The blanket is created with fire retardant materials to help it work as a smothering material rather than catching on fire itself. First Aid Kit- A first aid kit is a must have in any business or home. A first aid kit can help in minor burn situations along with a number of minor injuries that don’t require medical attention. Safety Signage- Fire protection products also includes safety signage that is used to warn and educate those in commercial buildings. These signs can alert occupants on how to handle flammable materials or to beware and us caution around these materials. At Fireline, we offer an array of portable fire extinguishers and fire alarm systems to keep commercial buildings safe. Fireline offers the highest quality alarm systems to keep your business safe from fires and carbon monoxide poisoning. We also offer fire suppression systems as well to help keep commercial fires controlled should they break out. Our trained technicians will work with you to determine which air sampling smoke detection system is best for your business. We will also help install and maintain the system for your commercial building. To get started with Fireline today, call us at 1-800-553-3405, or visit our contact page. This entry was posted on Thursday, March 12th, 2015 at 1:46 pm. Both comments and pings are currently closed.